As per the legends, Prajapati Daksha's daughters married the devas, but the youngest daughter, Sati had chosen to marry Lord Siva against her father's wish. Daksha was not keeping good relation with his son-in-law Lord Siva. Daksha decided to perform Yajna to insult Lord Siva, for which he invited all the gods and goddesses, except Lord Shiva, to partake their offerings. Sati on knowing the Yajna details, decided to visit her maternal house, though she was not invited. Sati was offended by the scoldings and immolated herself in the fire of Yogagni generated by her. Angered by this, Siva ordered Veerabhadra to destroy Daksha Yagna. Veerabhadra along with Kali and other Siva Ganas destroyed to Yajna and killed Daksha. 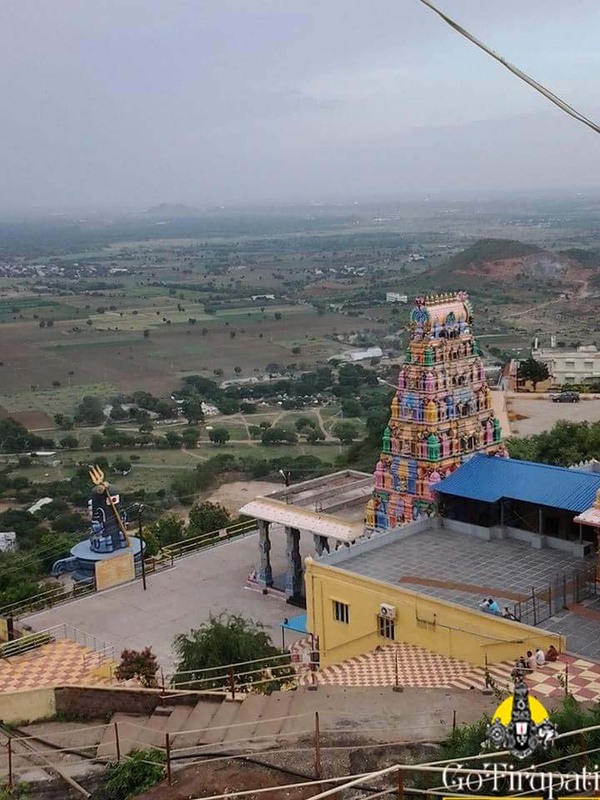 Lord Siva did penance here on this hill (the present Maheswara Sikhara) to attain mental peace. To bring Lord Siva back to Kailash, Lord Vishnu and Brahma did penance here on other two hills for Lord Siva. Impressed with the penance, Lord Siva granted their wish. 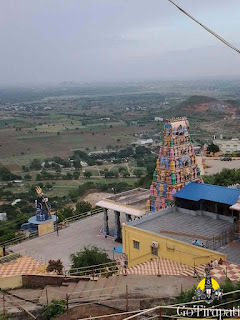 Vishnu expressed his desire to perform Abhishekam, for which Lord Siva pierced the mountain with his weapon Trishul and created a pool and self-manifested in Vishnu Sikhara (mountain). Vishnu performed abhisheka after taking bathing in this holy Tirtha. It is believed that taking a bath in this holy Tirtha will be relieved from the sins.